Smokers don’t like hearing about the devastating effects of smoking. Have you considered the effects of smoking? Life truth: Cigarettes are like squirrels. They’re perfectly harmless until you put one in your mouth and light it on fire. It’s funny, but true. Cigarettes are harmless until you light one up. The effects of smoking can be devastating; not just to the smoker, but to those around him or her. A smoker at some point does enjoy the habit. Smoking gives the smoker calm and comfort. However, the negative effects of smoking far outweigh the pleasures in the long run. The effects of smoking on the body of a smoker can lead to a shortness of breath, coughing, increased cholesterol, narrowing of the arteries, cancer, emphysema and stroke. That sounds horrible. So Why Doesn’t Everyone Just Quit? Nicotine is the drug within tobacco that causes a smoker to become physically addicted. It is extremely hard to quit. But did you know the addiction to nicotine is only a small factor? 90% of a smoker’s addiction is caused by mental or emotional aspects. Only 10% is physical! Only 10% of the addiction is caused by the nicotine. Then, how to stop smoking cigarettes becomes the real question, if only 10% of the addiction is chemical? First, you have to have a real desire to quit. Last, you’ll need to learn how to stay comfortable without the cigarettes. Do your research. Choose a how to quit smoking cigarettes method that is right for you. Hypnosis to Quit Smoking is a Very Popular & Effective Method. Many hypnotists will make use of traditional hypnotism. Traditional hypnotism typically relies on a formal hypnosis induction. This is a methodology that leads the patient from the normal waking state, into hypnosis. This category of hypnotherapy is fine for anyone who likes to be told how to behave. However, it is an awful method for anyone who is analytical in their nature. An analytical client will usually have a polarity response and do the exact opposite of what they are told to do. With “Ericksonian Hypnotherapy” we use little stories, or metaphors, to insert suggestions and ideas to the unconscious mind. This is a powerful procedure, based on the fact that it effectively removes the blockage of and resistance to suggestions that is usually caused by the conscious mind. There are two different types of metaphors, “Isomorphic,” and those of the embedded command or “interspersal” nature. 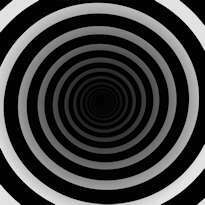 The hypno-spiral is an often used metaphor for hypnosis. While it can be used to produce a hypnotic state, modern professionals rarely use it. Hypnosis for smoking has been approved by the AMA (American Medical Association) since 1958. It has a much higher success rate than other methods – up to 70% success in quitting. Quit smoking hypnosis can be used to kick the habit without the usual weight gain and withdrawal. Roughly half of smoking behavior is caused by stress. The other half is caused by conditioned responses. Hypnosis for smoking helps your mind focus on positive and relaxing thoughts, rather than the stressful thoughts that had you lighting up. Smoking hypnosis will help you reach a state of deep relaxation. Another quit smoking tool is Neuro-Linguistic Programming. NLP is the art of using the same natural thought processes that create a bad emotional or behavioral issue, to remove it and exchange it for a helpful one. NLP consists of many different tools. However, the most effective tool in the NLP arsenal for smoke cessation is a technique known as the “Flash” or “Swish”. This technique will replace your conditioned responses, such as an after dinner cigarette, with a compulsion to NOT smoke after dinner! The Neuro-Linguistic Programming Flash method is tremendously effective for overcoming conditioned responses. For example: If a smoker has a cigarette while drinking coffee, her unconscious will pair the two actions together so that she mechanically gets a craving for a cigarette whenever she has a cup of coffee. 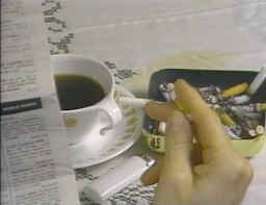 The Flash technique will cause the smoker’s mind to disassociate the visual image of a cigarette from the cup of coffee so that she does NOT feel an compulsion to smoke a cigarette because she is consuming coffee. In fact, she will have a compulsion to NOT smoke in this situation. Video NLP (trademarked Neuro-VISION®) is a new method of commercially obtainable hypnosis program. The methods used in Neuro-VISION are based on the Neuro-Linguistic Programming technology, which functions based on the application of a client’s existing thought processes, instead of using post-hypnotic suggestion. Over seventy percent of the people in our culture learn much more quickly and easily by seeing, instead of by hearing. Think about it. If you become aware of a craving to smoke when watching TV, it’s because your unconscious mind recorded a video picture of a cigarette in your hand, and then connected that image to the mental picture of the television. You never spoke to yourself and told yourself in words to associate them together, did you? That is why Neuro-VISION®, which was bestowed a United States Patent, is so effective. Neuro-VISION is not hypnotherapy or NLP in the customary sense, relying on the spoken word; instead, it’s a practice of video NLP. And, if you’ve ever sobbed when watching a sad television show, then you know how effective video hypnosis can be at effecting the unconscious mind. Neuro-VISION is an electronic video, so rather than hearing a hypnotist’s voice, the mind learns to mechanically change feelings and visual associations at the unconscious level using visual movies. The Neuro-VISION video imagery teaches the unconscious by way of a high-tech simulation procedure called computerized digital optics. This releases a subject from their compulsions, urges, and tensions and enables a cigarette smoker to stop smoking without effort. Effects usually begin with the first viewing! 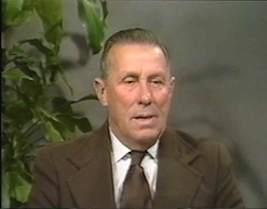 John Hadley smoked two to three cartons of cigarettes a week for sixty years. After he watched a Neuro-VISION video on quit smoking hypnosis, he was able to quit smoking without ever wanting a cigarette. He was relaxed, with no withdrawal or cravings, and he didn’t gain weight. Smoking hypnosis was John’s answer to how to quit smoking cigarettes. Video: See & hear John’s amazing story. Hypnosis to quit smoking is how to stop smoking cigarettes without the dreaded cravings and misery. If you have decided to quit smoking, allow hypnosis for smoking to snuff out your desire for a cigarette. Leave behind the hardest part of quitting, your psychological addiction, or mental and emotional attachments. Replace old unhealthy habits with new positive habits. Hypnosis is a simple, easy and harmless way to stop smoking now. You can end the effects of smoking for good. Never suffer the dreaded withdrawals and cravings. Instead, feel relaxed and be on your way to a healthier you, using hypnosis for smoking. 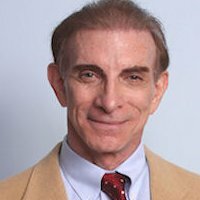 Alan B. Densky, CH opened his Hypnosis practice starting in 1978. He offers Neuro-VISION® Video Stop Smoking Hypnosis DVDs and Audio Quit Smoking Hypnosis CD’s. Visit his free library of original hypnosis & NLP articles or to download FREE self hypnosis and NLP MP3’s.